The Sony ILCE-6000 + 16-50mm PZ Lens Kit (A6000) is the latest addition ILCE / Alpha range of compact system cameras. 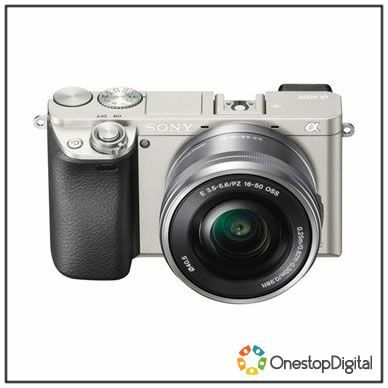 The stylish, compact body houses a 24.3 megapixel 'Exmor' APS-C HD CMOS sensor and the easy zoom lever. The ILCE-6000 features includes a high resolution 3.0 tiltable LCD, electronic Trufinder viewfinder, one-touch 1080p HD movie recording, Eye AF, Fast Hybrid AF, continuous 11fps shooting capability and integrated wifi and NFC. Dimensions of 120.0 x 66.9 x 45.1 mm and weighing just 285g. The Sony 16-50mm f/3.5-5.6 OSS PZ lens is included in this package.